Here's a story to warm the cockles of your heart - especially you Saskatchewanians in -30 weather. You may be familiar with the Community Supported Agriculture (CSA) model of farming. Eaters subscribe to receive a weekly box of vegetables over the growing season, and pay up front in the spring when the farmer needs to purchase major inputs. They also share a bit of the farmer's risk; if the farm is flooded and some of the vegetables are unharvestable, the subscribers do without. They are supporting local agriculture, typically small family farms, and sustainable growing practices. Grazing Days’ Paul Slomp – who often calls himself a “grass farmer” – frequently stresses that properly managed grazing of cattle improves the health of our soils. Managed grazing, he says, protects our streams, rivers and aquifers; it sequesters carbon, and is an effective way to harvest solar energy. I learned a bit more about Grazing Days this week, and this is why I really get a kick out of it. Slomp started the business when he had $10,000 to his name. 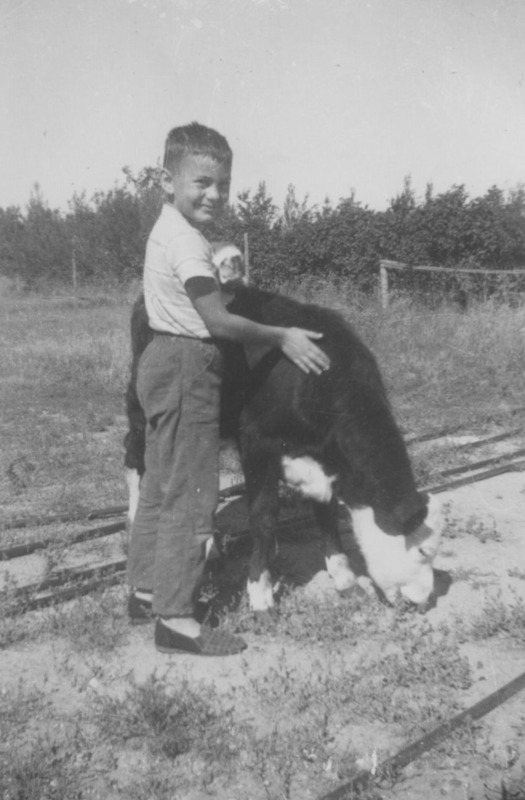 He wanted to avoid the debt that hobbles so many farmers, so he sold bond-like contracts with 4% interest to friends and eaters, pre-sold a season's worth of beef, and was able to purchase 14 head of cattle that first season and pay rent on 75 acres of land. He didn't have enough money for a vehicle, so he rides his bicycle 21 km daily to his land from his home and rents a car for delivery days. He also rents freezer space from a warehouse in Ottawa. He's also building up to forty head this coming year. That's what I call ingenuity! Happy Friday. I'll be enjoying my evening with family, a grass-fed beef roast, and some Okanagan wine. *This isn't Paul Slomp's heifer, but it is a heifer (or steer) belonging to my dad, whose name is Paul. The picture is from about 1960. As you can see, the animal is also grass-fed. Cut me some slack. I don't have a lot of cattle pictures on this computer.